Cross-bars in satin anodised aluminium to fit between posts. 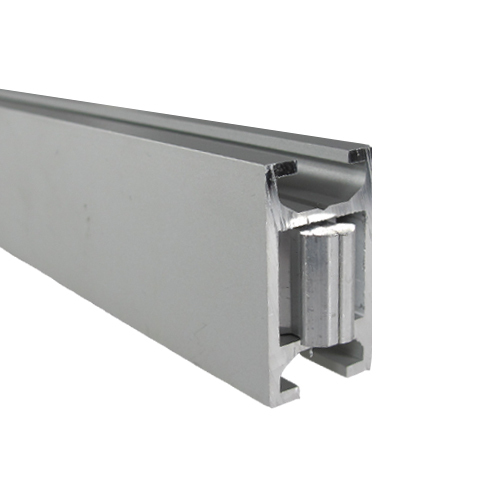 Length of satin anodised aluminium profile, 19x32mm, with channels running along 19mm edges. PLEASE USE THE DROP-DOWN BOXES ABOVE to view different option for this item (eg by altering the 'Length of cross-bar'). 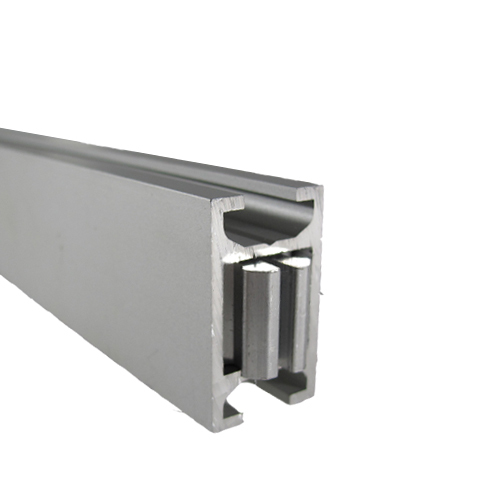 These cross-bars may be used with any of our aluminium uprights and designed for use in multi-base frames. Bespoke lengths are also available. They have the same 8mm groove running across them as in the uprights (posts), so can be used to enclose and frame a rigid panel up to 8mm thick. A n all en key is provided with each order, which fits the 'locks' in each end of the cross-bar and allows you to secure the it to the uprights. 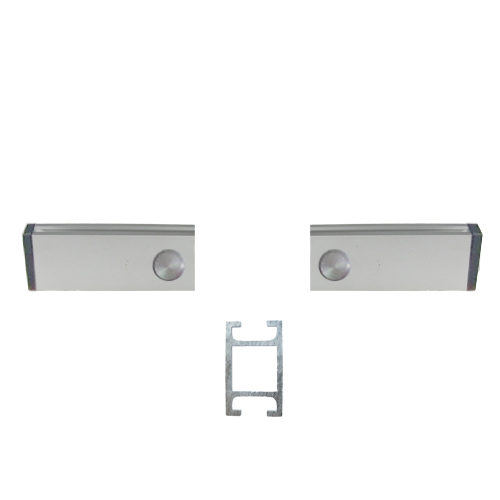 The jaws of the lock slide into the upright in the closed position, then the allen key opens it out to lock it in its chosen position. 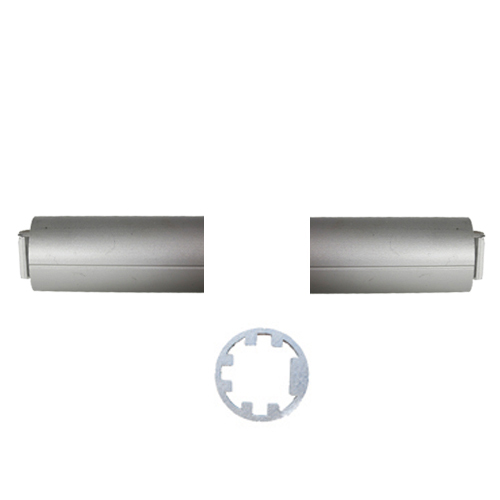 The cross-bar may be placed in any position, as it locks into the groove running up the post anywhere along its length.